Ford is recalling its 2018 Expedition (shown) and Lincoln Navigator for a seat defect. 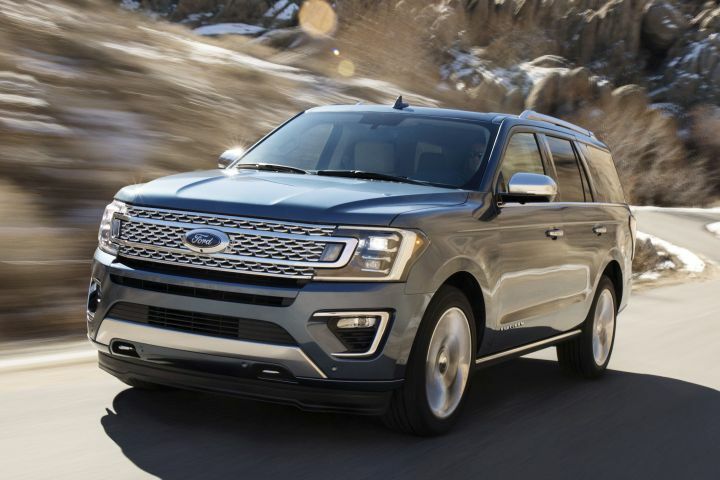 Ford Motor Co. is recalling approximately 38,000 2018 Expedition and Lincoln Navigator large SUVs with second-row center bench seats because they may be missing J-channel reinforcement brackets in the seat rack assembly. One or more missing brackets compromises the seat track and it may fail to properly restrain the seat assembly in the event of a collision, increasing the chance of injury. To remedy the problem, dealers will inspect the seat and determine if both J-channel brackets are installed. If one or both are missing, dealers will replace the center seat frame assembly at no cost to owners. The automaker cautions owners that until the vehicle can be serviced for this matter, owners should move the seat back to its furthest position away from the front of the vehicle. Affected vehicles under this recall include 2018 Ford Expedition vehicles built at Kentucky Truck Plant from March 14, 2017 to August 18, 2018, and 2018 Lincoln Navigator vehicles built at Kentucky Truck Plant between March 31, 2017 and August 18, 2018. The recall includes 34,946 vehicles in the U.S. and federalized territories, 1,900 in Canada and 955 in Mexico. Ford’s reference number for this recall is 18S37. Ford is also recalling an estimated 160 2018 Ford Explorer vehicles with 2.3-liter or 3.5-liter GTDI engines for a misassembled fuel pressure sensor that could cause a fuel leak and potentially increase the chance of a fire. To fix the problem, dealers will replace the vehicle’s fuel line assembly, at no cost to customers. Affected vehicles under this recall were built at Chicago Assembly Plant between July 29 and 31. The recall includes 144 vehicles in the U.S. and federalized territories as well as 16 in Canada. Ford’s reference number for this recall is 18S35. Finally, Ford is recalling approximately 271 2019 Lincoln Nautilus vehicles without adaptive front steering for an airbag issue. Specifically, the driver airbag modules may have improperly injection-molded plastic covers that may separate during deployment, which can increase the risk of injury during a collision. To remedy the matter, dealers will replace the driver airbag module, free of charge to owners. Affected vehicles under this recall were built at Oakville Assembly Plant from October 11 to 19. The recall includes 268 vehicles in the U.S. and three in Canada. Ford’s reference number for this recall is 18S38. Ford is not aware of any accidents, injuries or fires resulting from any of these three recall issues.